When someone dies in Missouri or dies owning property in Missouri, Missouri’s probate laws outline the procedures for processing the decedent’s estate, including determining whether the decedent’s will is valid, how to prove its validity in court, and who receives a decedent's property if he died without a valid will. These probate laws are located in Missouri Revised Statues, Chapter 474, formally known as the Missouri Probate Code. Missouri Probate Code governs the formalities required to have a valid will. A testator, the person writing the will, must be at least 18 years old and mentally competent. Missouri requires every will be in writing, signed by the testator or at the testator’s direction and in his presence, and witnessed by at least two competent witnesses. The witnesses must sign the will in front of the testator. A will must be presented and admitted to a probate court to become legally effective. Missouri Probate Code, Section 473.050, governs this procedure. Generally, the original will must be submitted to the probate court after the testator’s death, along with an affidavit or petition requesting the court to admit the will. This begins probate of the decedent’s estate. If a decedent's will is not submitted to probate within certain time limitations, it is forever barred from admission to probate. Sometimes a decedent’s potential beneficiaries and heirs contest a will’s validity. In Missouri, this process is governed by Missouri Probate Code Section 473.083. Wills must be contested within six months after the will is accepted by the court or after notice of the granting of authority to the executor is published, whichever is later. In Missouri, a will contest must be filed in the circuit court, even though the will itself is filed with the probate court. When a person dies without a will, the Missouri Probate Code describes the hierarchy of relatives who will inherit. 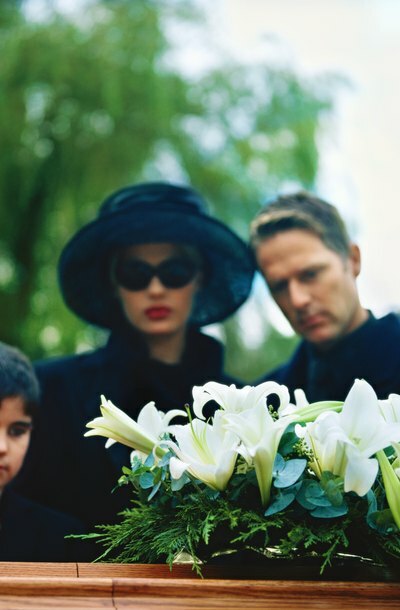 The decedent’s surviving spouse will receive the entire estate if the decedent had no surviving children. If there are surviving children, all of whom are also those of the surviving spouse, the surviving spouse receives the first $20,000 of the estate and one-half of the estate balance. The remaining half of the estate is distributed to the decedent's children in equal shares. If the decedent had children from another relationship, the surviving spouse will receive half of the estate and the decedent’s children receive the other half in equal shares. If there are no surviving children and no surviving spouse, the estate will pass in equal shares to the decedent’s parents and siblings (or their descendants). When a person dies in Kentucky, most of the property in his estate passes through the state's probate process. During probate, the executor -- the person named in the deceased's will to administer the estate -- collects the assets and dgtermines their value. The deceased's will must be authenticated before the property is distributed to the beneficiaries as instructed in the will. Certain assets, including property owned jointly, life insurance policies and any property in trust, can avoid probate and will pass automatically to the named beneficiaries. Who Enforces the Execution of a Will?